We are among the GCC’s top Facility Management services providers as a result of our employees’ skills and dedication. We are an option for you choose to work with and we strive to be a wonderful work place. 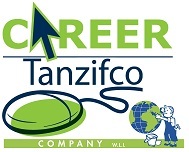 At Tanzfico Companies, our employees are recognized as core assets of the business. This is one of our basic values – and is central to our vision of becoming the “Preferred Employer in Kuwait and G.C.C Countries”. We currently employ approximately 24,000 employees who come from various different countries. Diversity is one of Tanzfico Company’s very unique features – diverse businesses, diverse international locations, and diverse cultures and languages all contribute to the dynamic that makes Tanzfico an exciting place to work. Our Human Resources philosophy focuses on creating a corporate culture that will attract, develop and retain the best talent from the Middle East region and beyond. For us at Tanzfico, Diversity really means respecting others and enjoying our uniqueness. We believe it makes a more creative, innovative and inclusive workplace. Tanzfico strives for an environment open and respectful of individual differences and where all employees are encouraged to maximize their potential and to exhibit a commitment to provide quality service to customers. When you choose Tanzfico, you are joining an organization that is focused on growth and on becoming “Preferred Employer in Kuwait and other G.C.C Countries”. How we work together is as important as what we do as individuals. We work as One Team and for One Goal; becoming the “Preferred Employer in Kuwait and other G.C.C Countries”.